A tasty robust case for your Twenty 20 Contour HD camera. 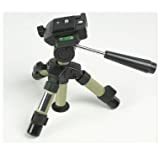 Ex-Pro Professional Table Tripod ( Maximum Height: 230mm / Minimum Height: 180mm), Spirit Level, 3 Way Head pan and tilt, Suitable for table top studio photography, Light Tents. Includes Carry bag. Ex-Pro Professional Table Tripod ( Maximum Height: 230mm / Minimum Height: 180mm), Spirit Level, 3 Way Head, Suitable for table top studio photography, Light Tents. Includes Carry bag. this single super LED is equipped with a single lens to produce light just as bright as three LEDs régulière.efficiant extremely energy and absolutely ideal for lessons, practice, and live performances. With the ability to clip onto almost anything from music to microphone stands, can clip onto your clothing glow in the work of Infront you or even be used as a lamp of self at hand. For the first charge it is highly recommended to charge your battery for a good few hours 12+ if possible. It is important to fully charge your battery especially for the first time in order to fully charge all the internal cells, doing this helps to prolong the overall performance of the battery. 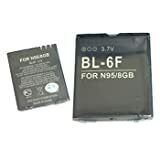 This is a generic replacement BL-6F Battery for Nokia N78 N79 N95 8GB mobile phones. 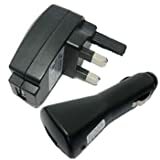 It is a great little battery that you will need as a spare or replacement to keep at the office or in the car. Ex-Pro 5 -in- 1 Photographic Light Reflector – 32″ (80cm) Silver, Gold, Black, White & Translucent, Collapsible. 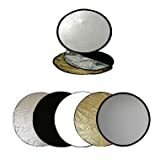 Whatever your needs, the reflector will add vibrant colour a clarity to your subject with the Ex-Pro 5 – in – 1 Package including 5 different side reflectors, Silver, Gold, Black, White & Translucent plus a pouch for storage, the unit collapses away to less than 50% of the diameter for easy storage or portability. Silver increases the spectacular highlights and yields a high-contrast image. It’s perfect for video, product shots and B&W photography. Gold produces a natural, golden fill that is great for sunsets, jewellery, and indoor portraits. White produces an even, neutral-coloured bounce light that works beautifully as a fill light source for both product shots and indoor/outdoor portraits. Translucent fabric is used to diffuse light, producing a broad light source and a soft, wraparound effect that’s perfect for outdoor portraits or whenever a softer light is needed. Black stops sun or window light and prevents unwanted shadows. Ex-Pro 5 in 1 Collapsible reflector. Whatever your needs, the reflect will add vibrant colour a clarity to your subject with the Ex-Pro 5 – in – 1 Package including 5 side reflectors, Silver, Gold, Black, White & Translucent plus a pouch for storage. Silver increases the spectacular highlights and yields a high-contrast image. It’s perfect for video, product shots and B&W photography. Gold produces a natural, golden fill that is great for sunsets, jewellery, and indoor portraits. Translucent fabric is used to diffuse light, producing a broad light source and a soft, wraparound effect that’s perfect for outdoor portraits or whenever a softer light is needed. Black stops sun or window light and prevents unwanted shadows. ContourHD1080p is the World’s First Full HD Wearable Camcorder to shoot and share 1080p video. Perfect for an outdoor enthusiast looking for the ultimate video quality you can configure. It features four HD settings (1080p, 960p, and two at 720p) with two frame rates (30fps and 60fps) and four configurable settings (metering, contrast, exposure, and microphone sensitivity). But, most important the ContourHD software will share your adventures in “Lifelike” 1080p video to VholdR.com. 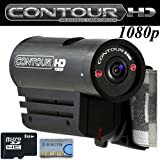 With its single button operation and dual lasers for alignment, ContourHD1080p brings the biggest HD video online with the popular and easy to use ContourHD camcorder line. ContourHD is the World’s First and Smallest wearable video camera. 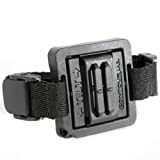 Its light (4 ounces) but armored aluminum body means you can capture video in any weather conditions. To be operated with a pair of gloves on, ContourHD uses a single button to capture up to 8 hours of HD video to an internal MicroSD memory card (compatible up to a 16GB card). With no wires or tapes, the ContourHD helmet cam makes it easy to capture Full HD video from within the action. * Flat Surface Mount – Ideal for non-vented helmets and flat surfaces, this mount uses an all-weatherproof removable adhesive pad to adhere to almost any surface.